NEW YORK -- Winnie-the-Pooh and friends Piglet, Eeyore, Kanga and Tigger are celebrating a new lease on their New York City life after enjoying many adventures together. 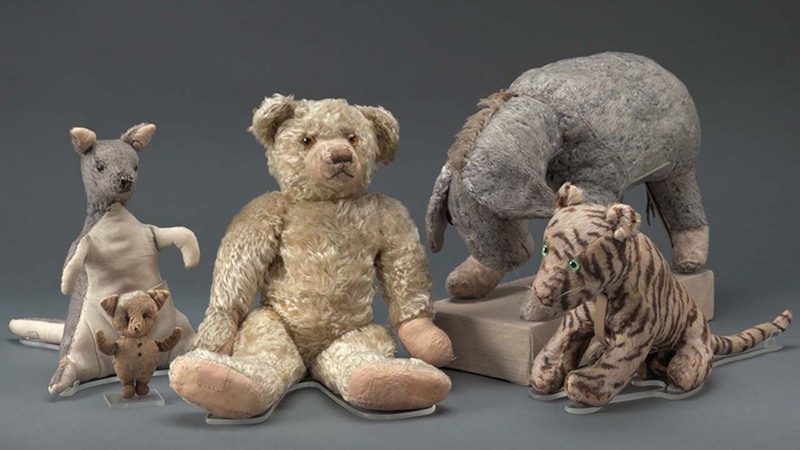 Winnie-the-Pooh and friends original stuffed toy animals in New York before their restoration. The original toys are looking refreshed after more than a year of much needed repairs by a textile conservator. They went back on display Wednesday at the New York Public Library, where they've resided since 1987. An English boy, Christopher Robin Milne, was their original owner. He received them in the 1920s from his father, the author A.A. Milne, who based the Winnie-the-Pooh children's stories on the stuffed animals. The library says the yearlong conservation included neck alignment, clavicle repair and bottom fluffing. The dolls were donated to the library by Milne's publisher.